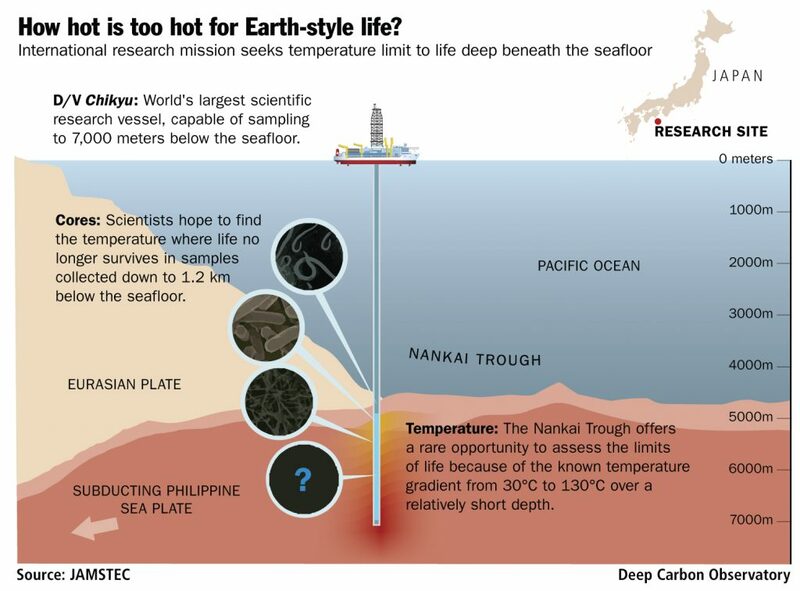 A 2016 research cruise sought to determine the temperature limit of life on Earth. I created a diagram to explain why drilling in the Nankai Trough was important to the mission. 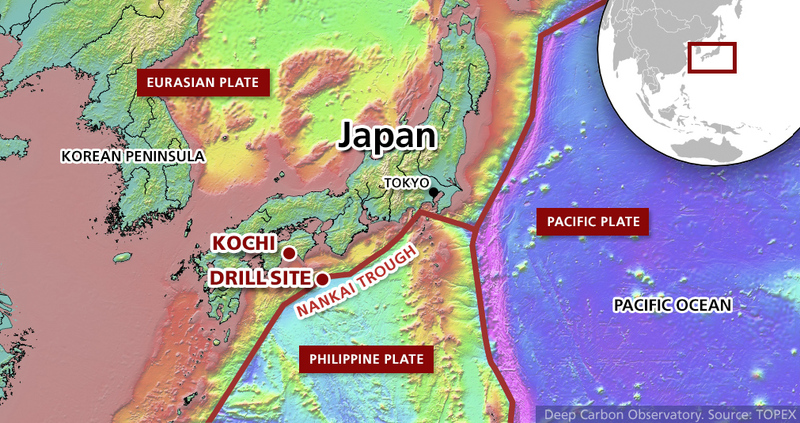 A map depicting the mission drill site and its proximity to Kochi, Japan was integral to the press materials. The map also shows an overview of the local tectonic plates.